The creature's burial preserved its skull in stunning detail - enabling scientists to digitally reconstruct it. Its bones were found in a farmer's field more than 60 years ago, but their significance has only just come to light. 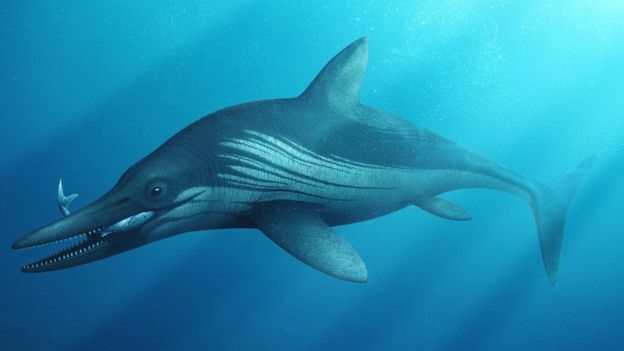 worth the wait," said palaeontologist Dean Lomax of the University of Manchester. 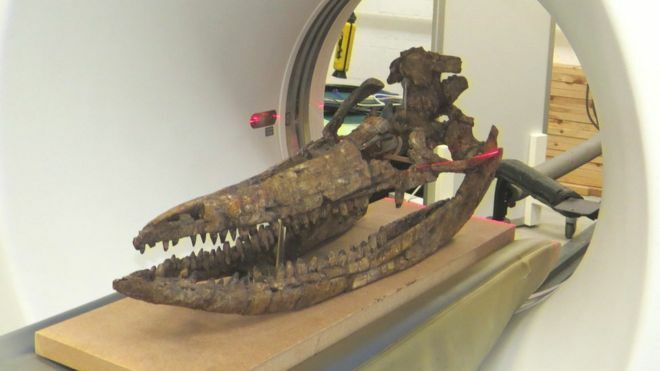 "CT scanning allows us to look inside fossils - in this case, we could see long canals within the skull bones that originally contained blood vessels and nerves," said Dr Porro. 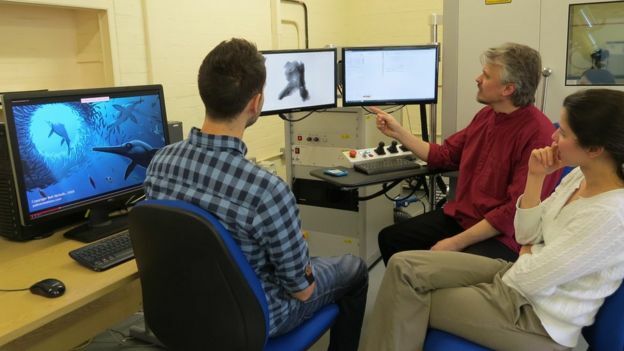 "We were also able to digitally edit the original skull, ie move bones around and manipulate them so that they are in life position," said Dean Lomax. Could this be Shakespeare's skull?